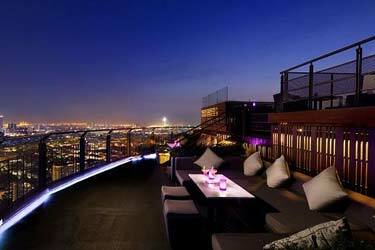 Take the chill-out experience to new heights. 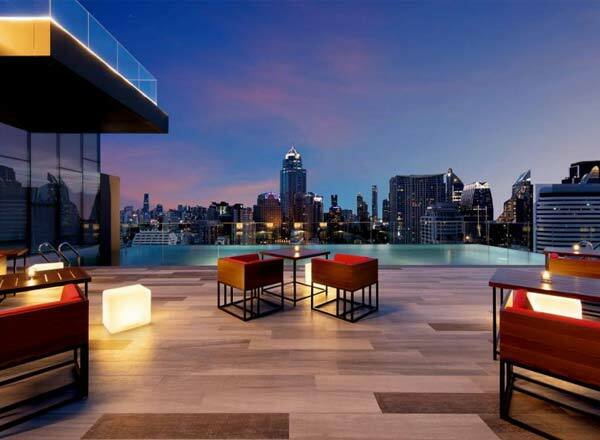 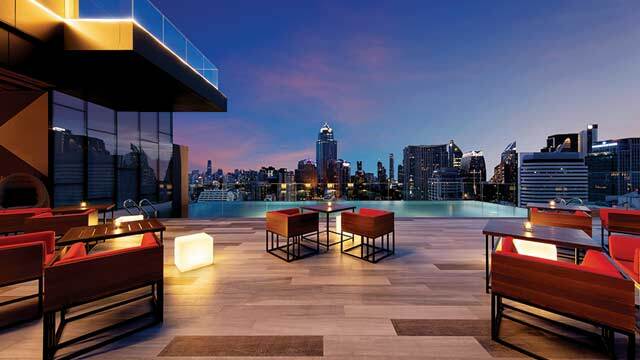 Located on the 25th floor of the brand new Novotel Bangkok Sukhumvit 4, in the heart of a bustling business and entertainment district, RedSquare Rooftop Bar is a trendy Bangkok rooftop venue that offers a new perspective on Asia’s most exhilarating city. 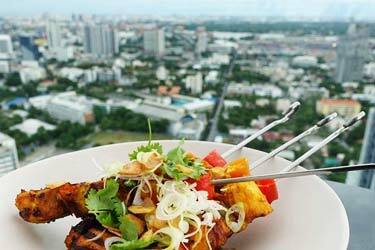 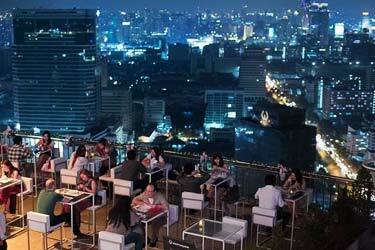 Just a few minutes of Nana Skytrain Station, RedSquare is Bangkok’s sole rooftop Vodka bar. 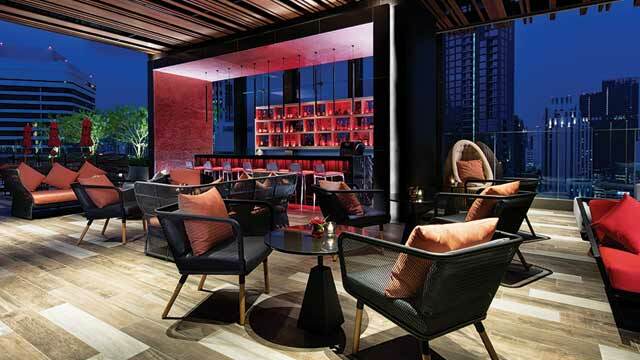 The terrace is airy, spacious and very luxurious and innovative in decor, with lounge chairs and sofas, a cool looking bar and details in red (suitable given the name). 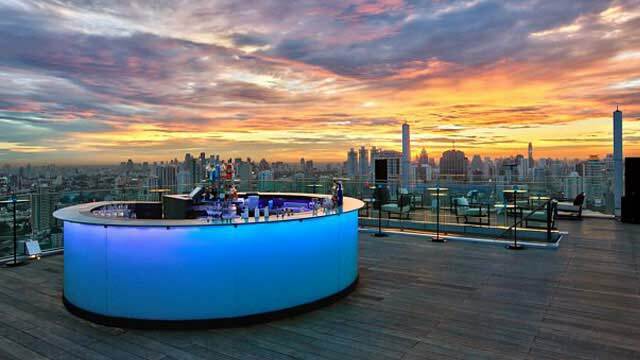 A perfect place for lovers of premium drinks to discover Vodkas from around the world, sip signature cocktails, and savor creative light bites, all to a stunning panoramic backdrop of the glittering Bangkok. 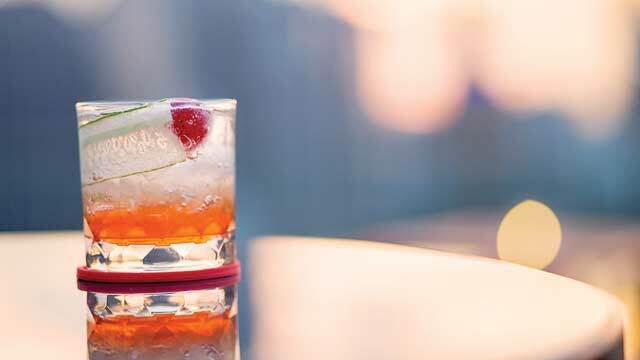 The RedSquare drink menu includes the finest Vodkas from North America, Eastern and Western Europe, Asia as well as Vodka inspired cocktails from Africa and South America, like the 'Clericó' (Uruguay) or the 'Kenyan Dawa'. 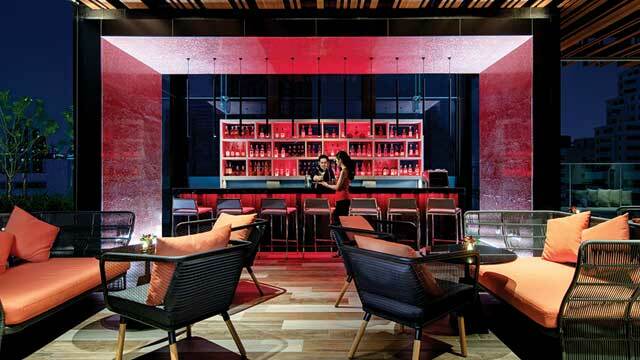 Apart from the wide array of Vodka, there is also a good selection of beers, other premium spirits and juices / soft drinks. 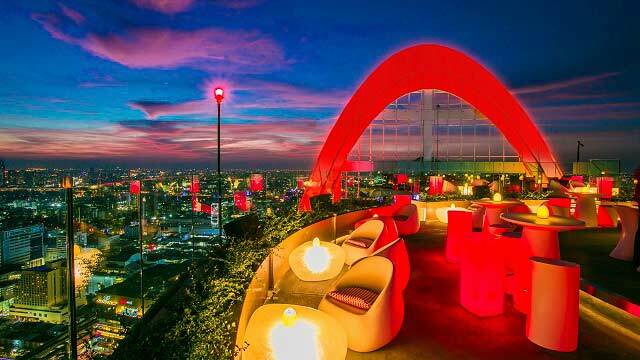 Being Bangkok’s first rooftop Vodka bar, RedSqure is a must-visit for all vodka-connoisseurs, but also for anyone looking for premium views in a premium setting. 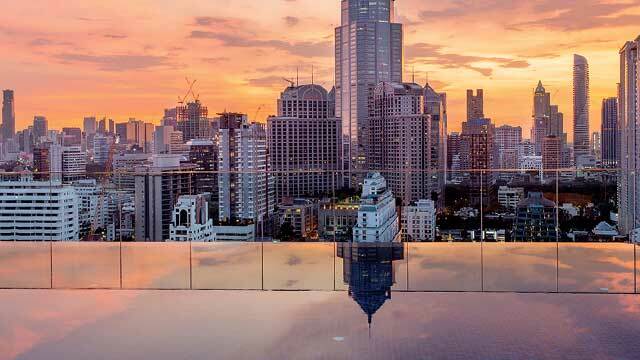 Come for magical sunsets of lower Sukhumvit overlooking the Bangkok Skyline and enjoy daily happy hour between 6-7pm, when you can buy 1 and get 1 free on all drinks on the menu. 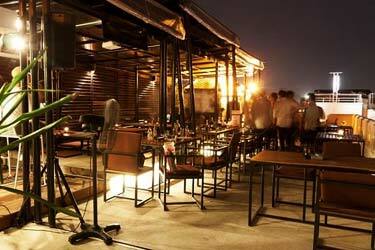 What is the dress code at Red Square Rooftop Bar? 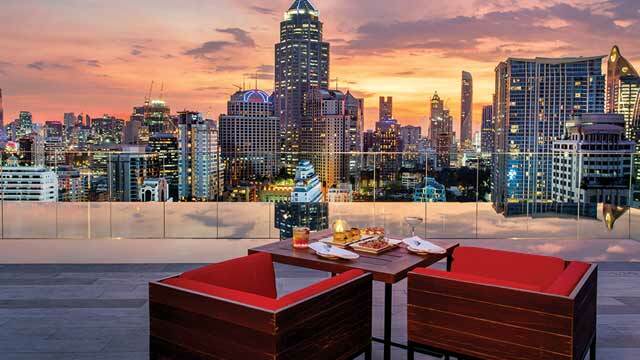 The Red Square Rooftop dress code is smart casual. 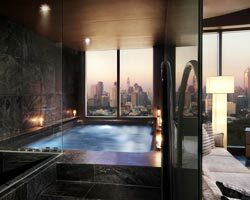 No swim wear, flip flops, sleeveless shirts or oversized bags. 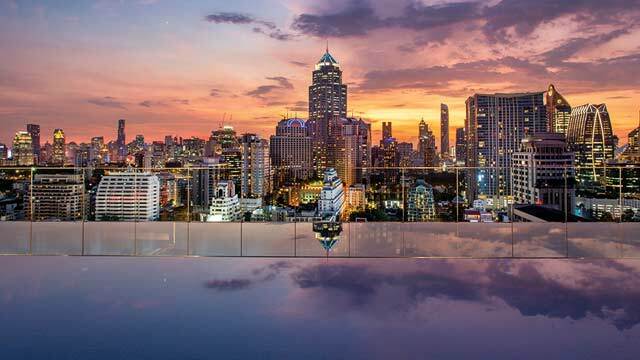 Tip: Right next to RedSquare Rooftop bar you also find a magnificent infinity rooftop pool. 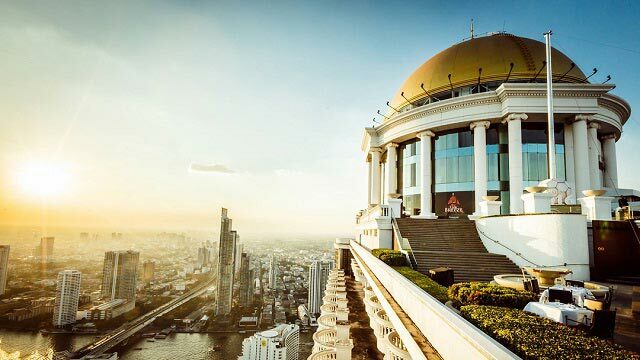 To enjoy the rooftop daytime, and swim with lovely views of the Bangkok skyline, book your stay at the modern and brand new Novotel Bangkok Sukhumvit 4.